Welcome to the first info update of the year. This week we'll be looking at the creator power radial menu, the upcoming change to the Research screen and a look at a concept planet. 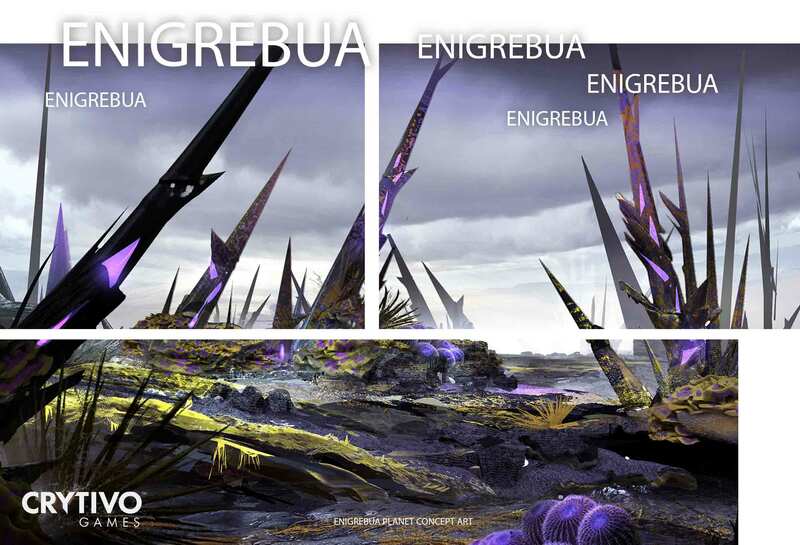 Creator Power Radial Menu Research Screen Change: Spider web to Linear Planet Concept: Enigrebua Gamescon: Germany! What's on the horizon? Welcome to the first info update of the year. This week we'll be looking at the creator power radial menu, the upcoming change to the Research screen and a look at a concept planet. Please be aware that this is only a concept image and the final version may be different! 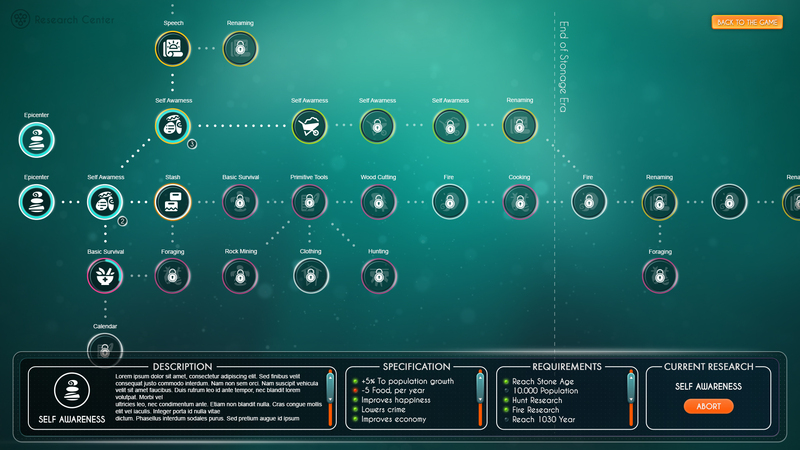 Currently the research screen is radial, based off a central point. While this worked, it didn't really flow (based on your feedback). Now with the new side to side menu, we have a clear path(s) to follow to progress to the next Era! The team is finalizing this new system now and we should see its introduction sometime within the next few patches. 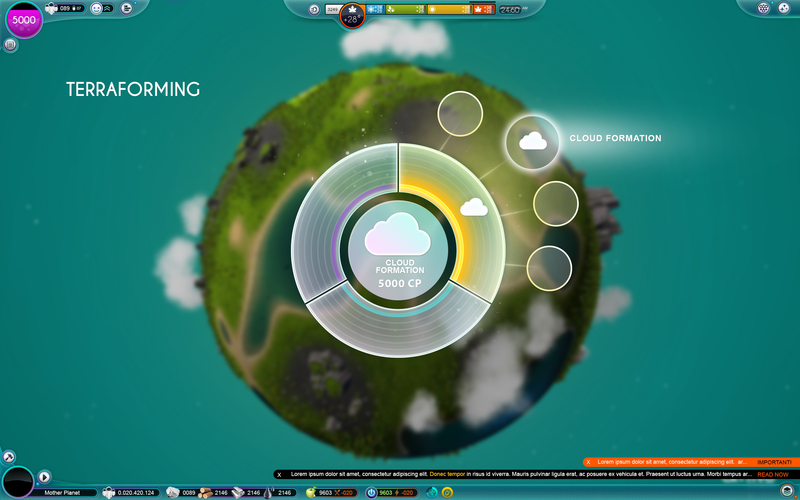 Enigrebua is a dark planet in The Universim’s vast universe. The surface of the planet consists of a dark, dry, and crumbly material, which is somewhat of a mixture between sand and metal, with reflective, metallic, and glowing particles that are visible during sunset. 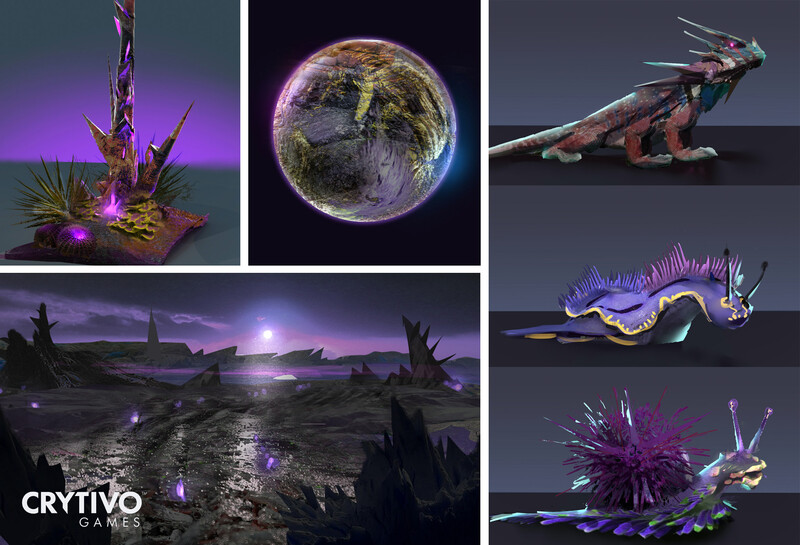 Scattered across the surface are also hard, sharp rock formations and aggressive, spiky flora. Explorers will notice that there is barely a mountain in sight on the planet, which can be attributed to a lack of large bodies of water or high levels of moisture. The gravitational pull on the planet is also significantly higher than that found on Mother Planet. For these reasons, animals and plants remain firmly on the ground and often concentrate their numbers in areas where any measure of moisture can collect. The wildlife’s appearance is that of a fungal or mucous-based entity, and each species exhibits a different behavior and body structure. Most of these animals are friendly in nature, but predators of medium size and fast movement speed also roam the desolate plains. The planet does not contain much in the way of fauna, but certain biomes do appear to contain far more than others. The planet contains approximately 25% of the required oxygen levels for the Nuggets, which means that it can be colonized with the right amount of work. Overall planetary temperatures range from 0-15 degrees Celsius, which is common for a planet of this type. However, winters can drop the temperature to as low as -100 degrees Celsius, meaning that appropriate steps must be taken to ensure the safety of the colonies. The planet orbits a very small star that can be seen from the surface. Further observations have shown that certain plants glow during the night. Resources: Planets of this type are filled to the brim with oil. 90% of the resource pool is oil, with a small quantity of gas and metal making up the remaining percent. We'll be shipping out the Kickstarter backer items, including T-shirts, mother planets posters and 3D prints near the end of Q1 2016. We'll also be granting access to the Pre-Alpha/Alpha to any KICKSTARTER backer who backed at the Early Beta Access Tiers near the end of Q1! We're planning on heading to Gamescon Germany between the 17th-21st of August. if there are any other conventions or Expos you'd like to see us attend, let us know in the comments! 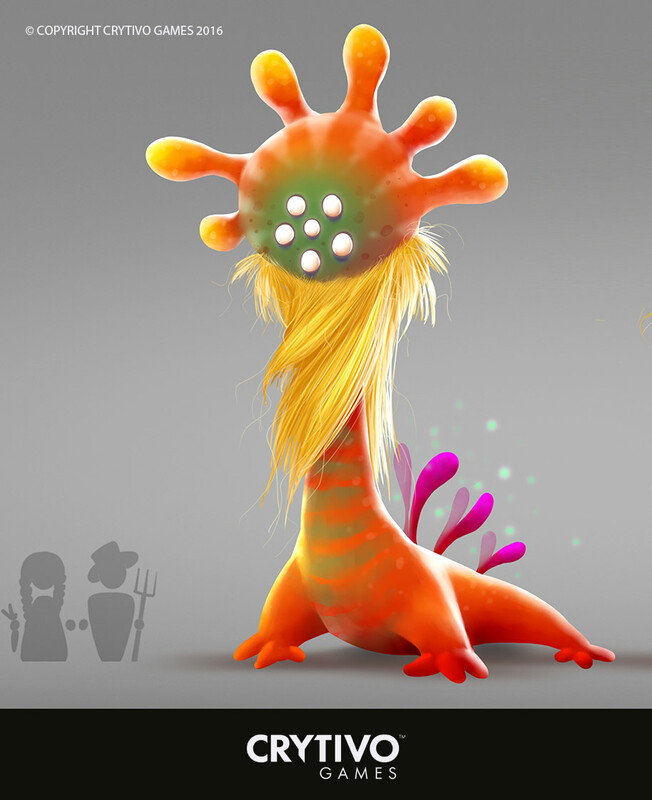 And finally I'll leave you with this: Alien Planet Fauna concept image. Help us name him and decide if he's a carnivore or herbivore! And as usual, for day to day updates follow us on Twitter and Like us on Facebook!